We can provide any level of technical training for climbers, from making bombproof belays to rescue systems to big wall climbing techniques. 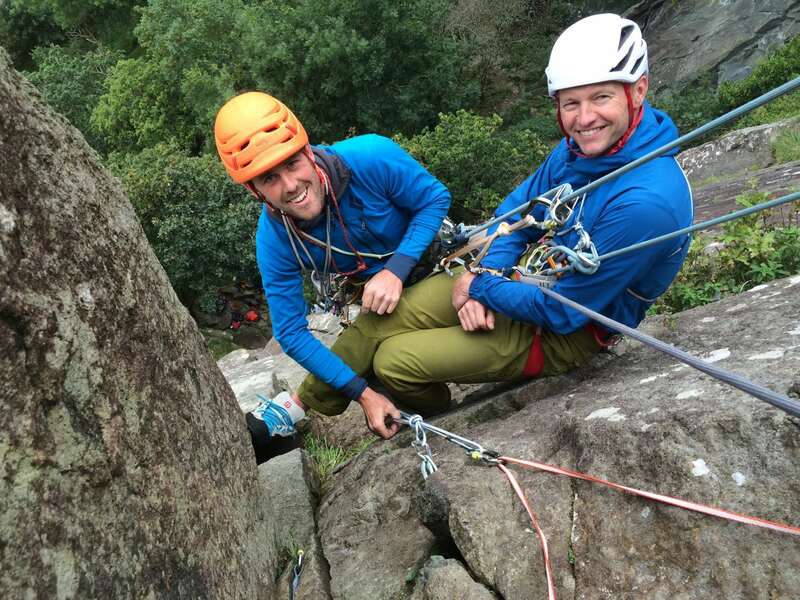 The most popular thing we offer is improvised rescue or self rescue, where you can learn how to solve on-crag problems such as lowering an injured climber, or hauling someone up to safety, or simply how to get out of the system so you can go and get help. We also offer training for instructors, or anyone thinking of doing a rock climbing award such as the Single Pitch Award or the Mountaineering Instructors Award. We are experienced trainers and assessors of these awards, and Libby is the author of the Mountain Leader Training Handbook on Rock climbing.